Glossier Invisible Shield Review: Can You Trust This Product? 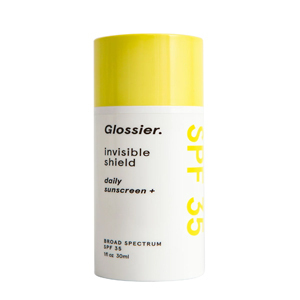 Glossier Invisible Shield SPF 35 Daily Sunscreen is an everyday sun protective product that everyone would love. If you are not fond of wearing a sunscreen, according to the manufacturer, this product will change your mind. 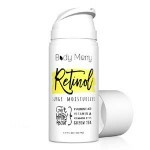 This sunscreen is formulated to be light and non-greasy so that you wouldn’t even notice it is there. To get more information about this product, continue reading this Glossier Invisible Shield Review. For Glossie, beauty should be fun and enjoyable. It should also be easy and free from outside pressure. Looking good is not just about the outside appearance. By formulating sensible and effective products that address skin issues from within, the skin cells are nourished and project a radiant glow. Every product they formulate and manufacture is meant for every woman and every need. To start using Glossier Invisible Shield SPF 35 Daily Sunscreen, dispense a small amount and spread it on the face, neck, and other exposed skin. Leave it on for at least 15 minutes before going out and getting exposed to the sun. Let the skin absorb the sunscreen thoroughly for best results. This product is posted for sale on their official website and is available in 1oz bottle. Each 1 oz bottle can be bought for $34. 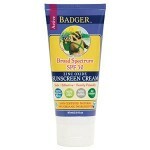 This sunscreen is also available at their authorized retailers and other third-party dealers. Broad Spectrum Sunscreen: To protect the skin from numerous harmful UV rays, the manufacturer formulated it with a wide selection of sun protective ingredient. Vitamin E and Tea Leaf Extract: This product concentrated tea leaf extract and Vitamin E that protects the skin from free radicals and other environmental stressors. 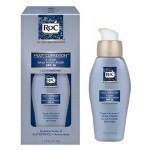 This sunscreen contains aloe extract that soothes and calms the skin. It has a decent sun protection rating. This product is formulated with Vitamin E and tea leaf extract that provide added protection to the skin from free radicals. This product has an expensive tag price. 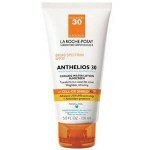 A few users have experienced acne breakouts from using this sunscreen. This sunscreen does not go well with makeup. This product has served many users and benefited from their promises. It has protected them from the UV rays of the sun and free radicals. However, this product is not cheap. You only get an ounce of this sunscreen for you $34. Also, if you regularly wear makeup, users have found out that this product does not go well with it. 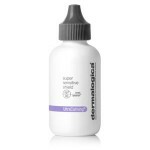 Some others experienced acne breakouts from using this. Overall, we strongly recommend you look for other sunscreens that are not as expensive as this one and goes well with makeup. If you are not satisfied with Glossier Invisible Shield SPF 35 Daily Sunscreen that you have purchased from their official website, you may contact their customer service for support. They issue a refund for products that have been returned to them up to 30 days from the date of purchase.